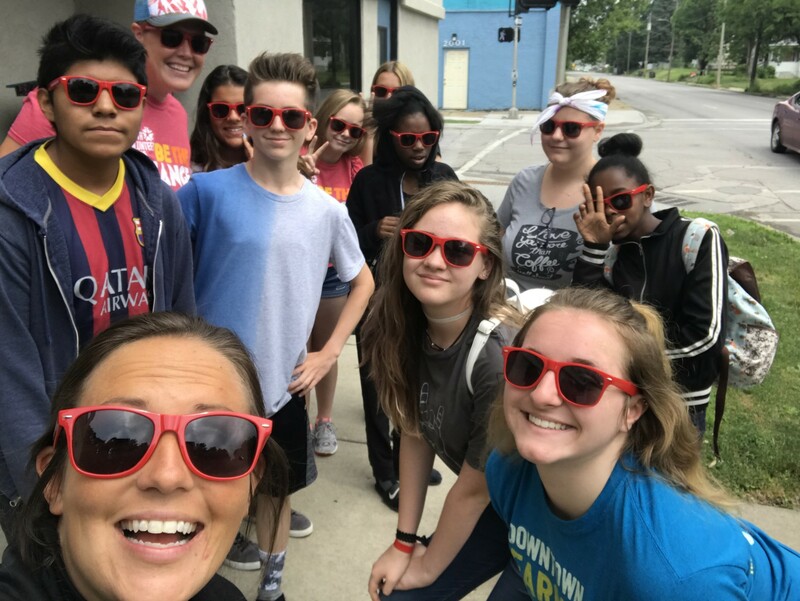 The YVC Summer of Service is an annual summer camp for youth ages 11-18. The camp meets Mondays to Thursdays during mornings and afternoons from 9:00 am to 4:00 pm (lunch is provided). Youth will work together to improve their community through team building and volunteer service activities. This year’s Summer of Service will be held during the weeks of June 10, June 24, July 8, and July 22 with a different theme each week (see flyer below). The cost is $150.00 per week, although scholarships are available if needed. You can apply for scholarships using this form. 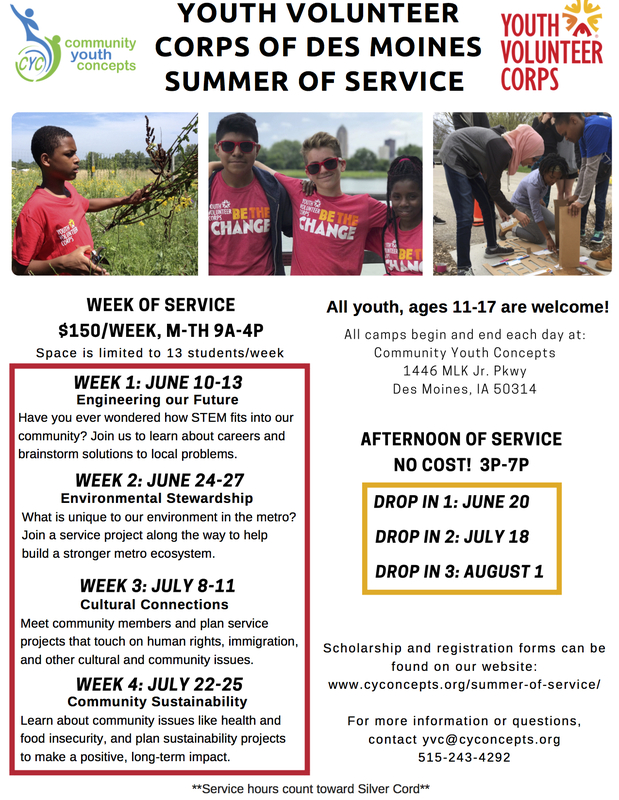 If you’d like to register for the Summer of Service, please fill out our registration form and return it by email to yvc@cyconcepts.org. If you have any questions, please contact Nicole at yvc@cyconcepts.org.